Many times, Nurses will choose to pursue a career in healthcare so that they will have the chance to spend their days helping others. There is an added bonus though. 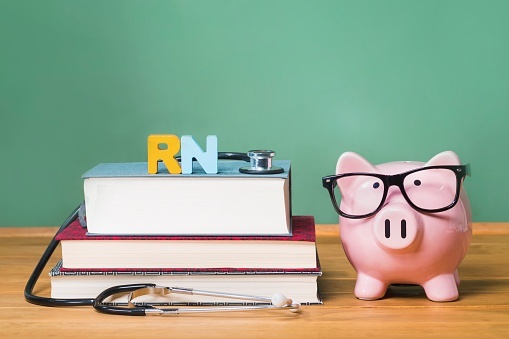 Many of the Nursing Specialties have a career trajectory of solid growth with a Nursing salary that is well above the income level of the median population. Which one of the Nursing Specialties will give you the most job security though? Which one has the highest salary? The specialties listed below have been in demand the most and have the highest nursing salaries. Nursing Salary: $110,000 with 1,975 job postings annually. This Nursing Specialty is the main provider for anesthesia in hospitals that have rural locations. These Nurses assist in administering over 34 million anesthetics to various patients every year in the USA. The average salary for this type of Nurse is right at $93,000 annually. Each year there are around 871 job openings for Pain Management Nurses. These Specialty Nurses work in tandem with other Nurses and doctors in order to treat patients who suffer from both chronic and acute pain. They also have the responsibility of educating their patients so they can handle pain management in the future. The mean Nursing salary for a Geriatrics Nurse is $91,000 and annually there are close to 400 job openings across the US per year. These Nurses can be the primary provider of health care for elderly patients in a variety of settings. Their duties include exams and diagnosis to actually prescribing medications. As the Baby Boomers age, this is an area where there is expected to be growth. The mean salary for this Specialty Nurse is $88,000 annually and there are more than 7,000 job postings per year for this specialty. These Nurses are like your family doctor. They work with the same patients throughout their entire lives. Many times, they will be the only health care professional for patients. They conduct exams and can prescribe medications. The salary for this type of Nurse is $86,000 annually and each year more than 4,500 job openings for this niche are posted. This type of Nurse will treat, counsel and even medicate their patients who suffer from mental health issues. They can work in quite a few different settings from private practices to correctional facilities and mental health clinics. The mean salary for a general Nurse Practitioner is $81,000 and there are more than 85,500 job postings for this specialty each year. These Nurses are a critical element in regard to the health care industry and they are expected to fill the gap of primary care physicians in the years to come. They are able to prescribe medicines and many times, they are the only health care professional that some people have. The Nursing salary for this specialty is $80,000 and each year there are nearly 7,000 job postings. This type of Nurse focuses on a single area of expertise and they act as a sort of consultant to all of the rest of the Nurses on staff. Their specialties can be anything from oncology to pediatrics and they also serve as coaches for both the staff and the patients. Armed with this information, which one appeals to you? If you are already on this list, would you switch to another specialty? Which one and why?